Want to know where the coolest kids in town hang out? 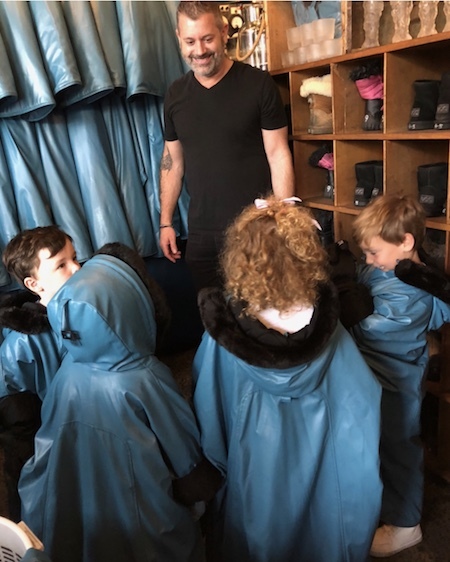 We recently visited Australia’s only Ice Bar, in Melbourne, and with kids. Bobbie, Owner, funny guy and great to have a chat with, prepped us all ready for the BIG chill. Kids briefing was simple. 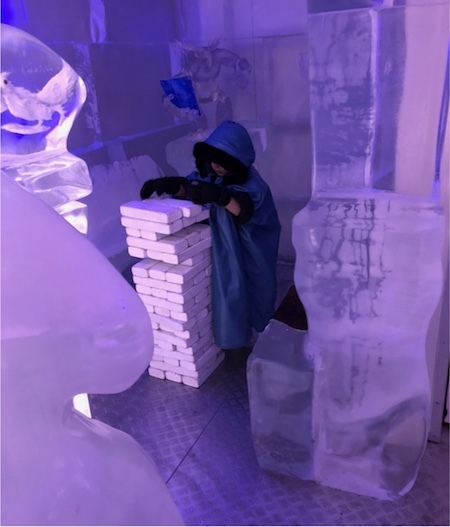 Put the gloves on, keep your jackets & hoods on and go and find the Polar bear, play some jenga and get amongst the Ice Age. For us Mummas, it was easy. Take the time to enjoy a cheeky little cocktail. It is 11am after all. Doors opened and in we went. Nothing prepares you for the blast of Cold. Yes we shivered our timbers. Kids got their fruity cocktail and we got our purple concoction of goodness. Deliciousness. A great place for kids. Why? It’s different. They dress up. They get a special drink. They find fun characters inside. They shoot some hoops and yes, we did get a ball in. WIN. They play jenga. They sit on a furry piece of hide. Best not to mention what kind of animal, they just love that its furry. Their imaginations run wild. It’s their version of Frozen and im going to let them have it. 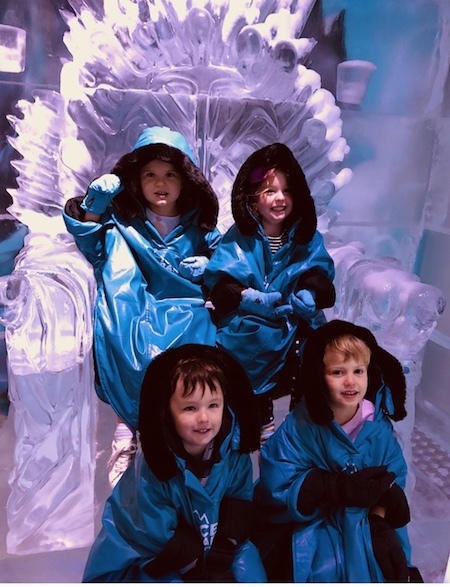 Let it Go……..And they sit like kings and Queens to get their photo taken. These little Blue people had a blast. Smiles all round. Such a fun activity for the family to do. Brains were ticking afterwards as they pondered and threw many questions like, How can the ice grow in there? Who makes the shapes – an eskimo? Why would that girl (making drinks) want to work in the cold? All these questions and more are the very reason why you should go. I love how their minds work. Kids have tons of fun. 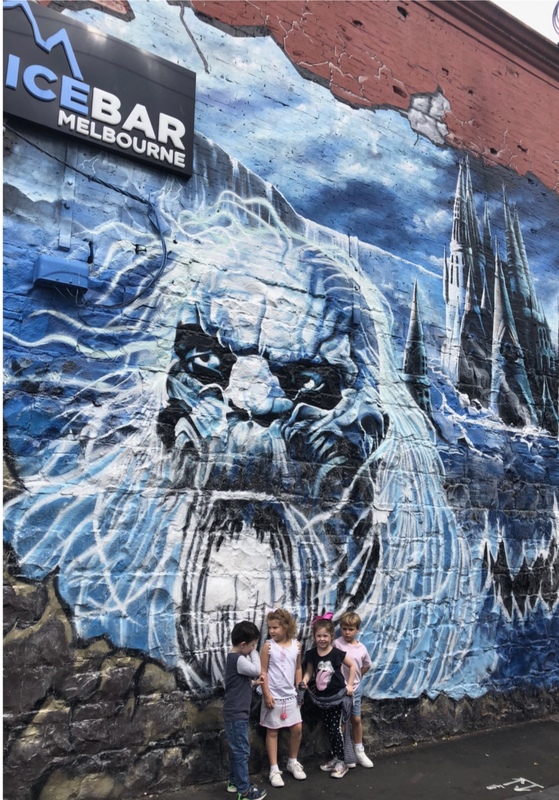 Head to Ice Bar Melbourne, located 319 Brunswick St, Fitzroy. Open Thursday – Monday 11am-7pm for kids. 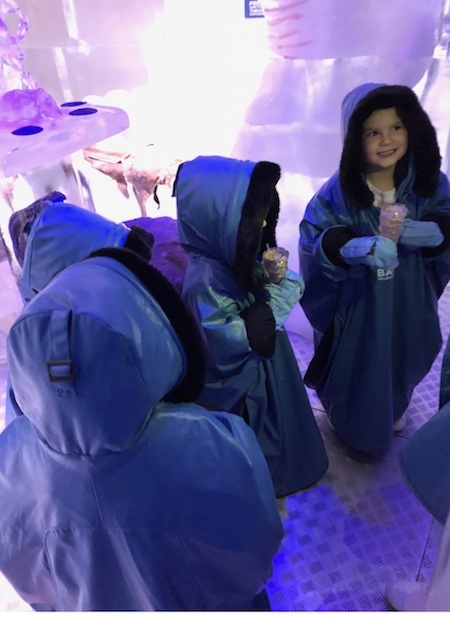 Before you go, join Little Finders, download the APP and get 20% off at the Ice Bar with your Little Finders membership. Just show your phone and save.